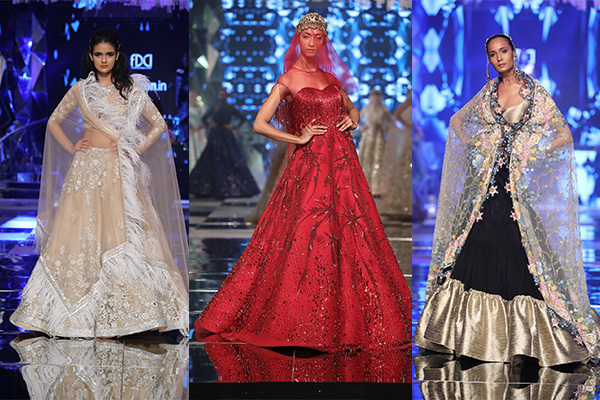 Couturier Suneet Varma concluded the finale showcase with 35 limited edition ensembles. The designer celebrated his 30th year with his Garden Of Eden collection. Traditional silhouettes like saris and lehengas were created in contemporary versions, perfect for the big, fat Indian wedding. The first half of the multi-designer finale included five prêt lines by renowned names of the industry. Pankaj & Nidhi showcased crisp evening-wear silhouettes while Ashish N Soni flooded the runway with smart formals in textured jacquards and knit fabrics. Elegant festive styles using block prints, tie and dye and embroidered fabrics were created by Krishna Mehta and statement fluid silhouettes were presented by Rina Dhaka. 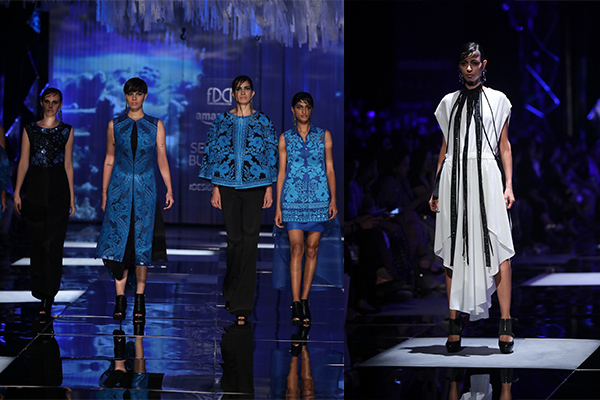 Rohit Gandhi and Rahul Khanna concluded the spectacle with a six-piece collection that had wardrobe essentials in symmetrical drapes. 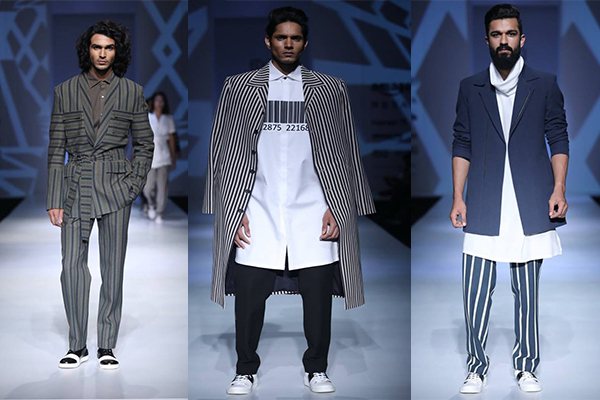 Abiding by a stark monochrome palette, Pawan Sachdeva’s line was inspired by the barcode. The pattern and print were translated into casual, formal and indo-western silhouettes in varying lengths for men. 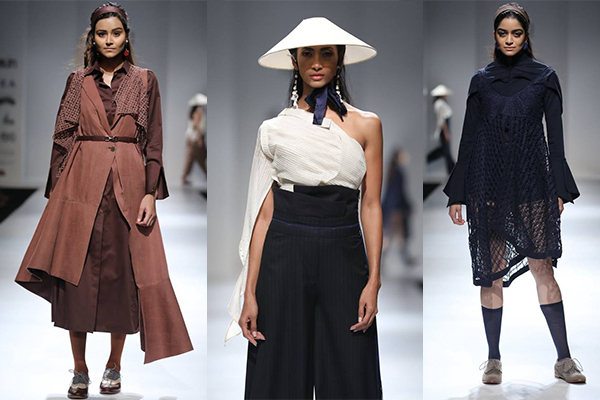 Abhishek Paatni displayed a collection emphasizing sporty styles. 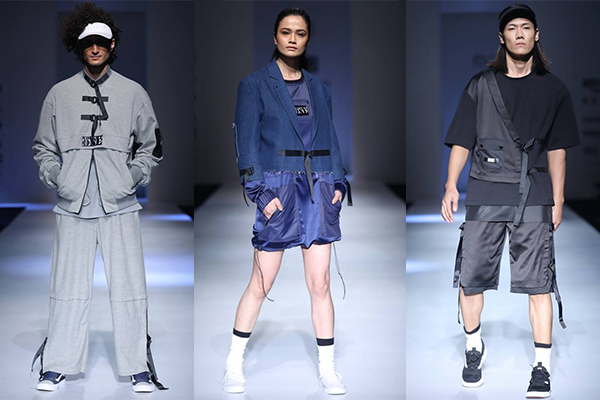 Anti-fit hooded jumpers paired with relaxed lowers that had drawstring details and classics like the kurta and kimono were re-engineered to complement the wardrobe of a modern-age streetwear enthusiast. 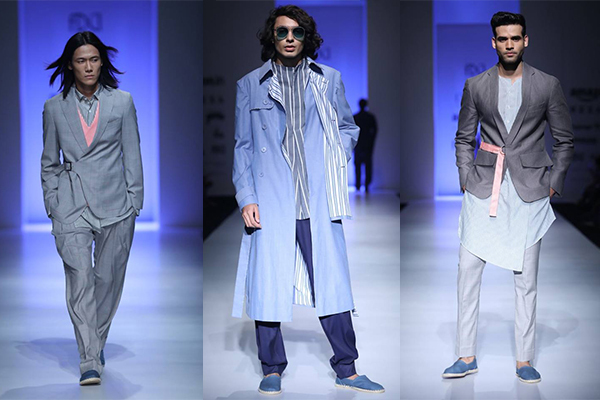 The ensembles included a lot of colour blocking in shades of powder blue and midnight grey contrasted with pastel pinks. Coordinated accessories like fanny packs added to the summer vibe. Basic and bold linear stripes were used in different ways to create interesting patterns that were set off by the solid cotton and linens used in the collection. The collection redefined comfort dressing; relaxed casuals imbued with a formal edge as flowing lines and textures added softness to structured shapes. Indigenous techniques were used in a modern way. The colour palette flowed from ivory to tones of beige and finished with inky blues. The clothes were a balance of strength and softness of nature and its objects, for the versatile woman. Titled ‘Immortelle’, like the French flower, the collection was inspired by the Victorian glasshouse and rendered through the undying spirit of a woman. There was a strong play of flora and fauna used on the garments, depicted in Parashar’s signature prints and her love for ancient Indian craft highlighted the meticulously embellished ensembles. Rich georgettes, silk, chiffons, and tulle created a whimsical fantasy. 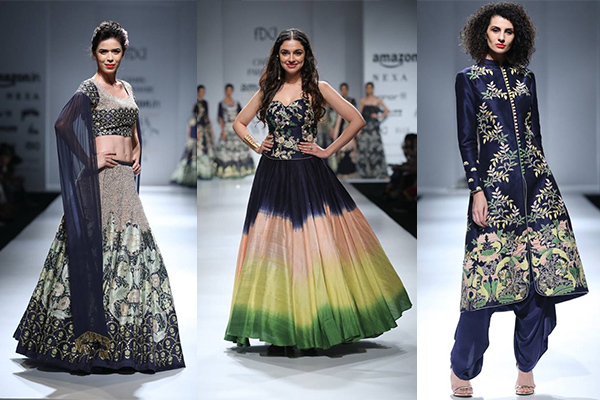 Colours like champagne pink, mint, leafy greens and navy blue gave it a soft yet regal vibe.